LUVERNE 2" grille guards for trucks are built to protect and add style. They feature strong steel construction and a vehicle-specific design. 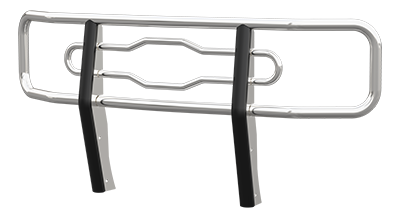 Each truck grille guard is equipped with our signature logo reveal, and we offer two finish options: chrome or black powder coat.